The use of creative cities as a regeneration strategy is less understood, in particular through the use of arts and culture to preserve the intangible aspect of heritage. 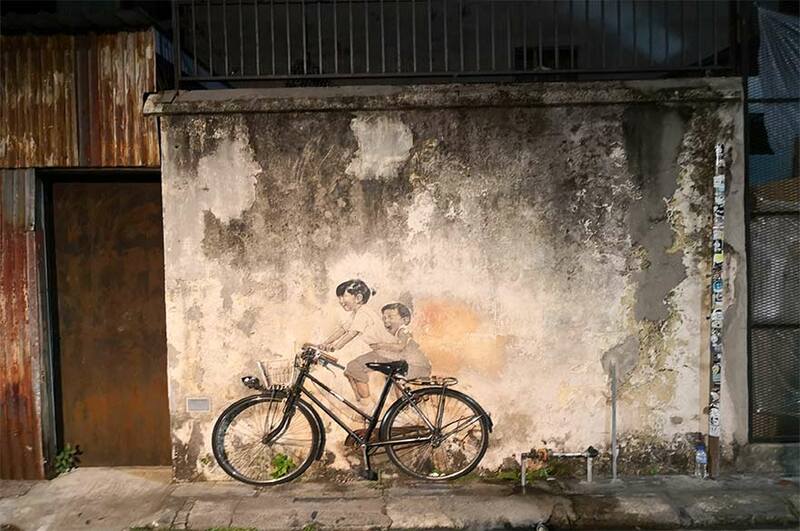 With its UNESCO world heritage site status, street art in the form of murals is central to Penang’s cultural heritage. However, street art is often valued primarily based on its visual appeal, overlooking other intangible, cultural and ethnographic influences and meanings informing its creation. This project will aim to examine these intangible aspects of heritage in three areas. First, in relation to memory, we will assess how mural artists incorporate rituals and traditions as a new form of curatorial and visualisation practice. Second, in relation to place, we will investigate how murals influence the perceptions of socio-spatial authenticity and the street art’s aura. Lastly, in relation to performance, we will investigate how different stakeholders (e.g. tourism, curators) exploit street arts in their every day practices. We will conduct ethnographic work through an on-site observation of mural artists to understand how they make sense of their creative activities within Penang city and observe their day-to-day interactions with Penang as a city and its heritage and art community. The NTU team is led by Professor George Kuk who has expertise in the digital innovation and entrepreneurship in the creative industries. His recent work involves using visual ethnography and the practice theory to examine the sociomaterial practices of co-producing authenticity and aura of street arts in Penang (Kuk, Giamporcaro, & Rickly, 2018). Other investigators include: Dr Kevin Hunt and Dr Stephanie Giamporcaro. By taking a multi-stakeholder’s perspective our research will facilitate the creation of a shared meaning between the local dwellers, artists and the tourists. The artists will highlight the heritage and cultural identity of the sites and contribute to its preservation. Additionally, our choice of research site can also facilitate a deeper conversation between the UK based practitioners and the Malaysian based artists and curators.